Do you do what your therapist tells you to do? Do you follow the instructions you’re given by your doctor? Do you persevere with therapy for as long as is recommended? Or are you more of an “ah, I just paid $$ for this consult, but I’m just going to wing it my own way” kinda person? The reason I ask is an important one. 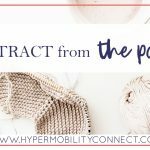 As an occupational therapist, I often encounter patients who are frustrated that they have tried SO MANY different things and in their eyes, it has “failed”; whether it’s they have seen multiple physios, or osteopathy and chiro, or OT… but they’ve only persevered for a very short period of time. I hate to break it to you bendy one, but a body as bendy & misbehaving as yours is going to take a lot more than a few visits to ANYONE to get ANYWHERE. Health professionals are not miracle workers, magicians or instant healers. We need TIME, your trust in the process, and your willingness to do the hard work for you to get anywhere. Every therapists’ pet peeve is patients’ expectations that just by walking into the room, change will occur. Ain’t gonna happen! A lot of hard work by the patient has to go into the process of change, recovery, healing – whatever you’re working on. 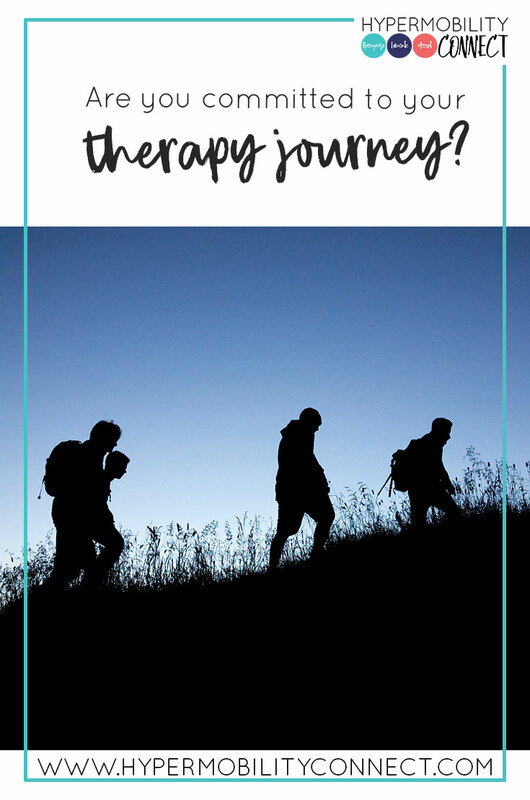 The therapist is there to facilitate, journey with, guide… but not do the work for you (unless of course, they’re a massage therapist, and then, just sit back, relax and be tortured!). By engaging the services of your therapists, you are hiring them onto your team – but they’re a support team, not the main event. The main event is YOU. We are here to help you get to your end goal, but we can’t carry you over the finish line. When you enter into any kind of therapy, you have to really enter in… with your whole self. Body, mind & spirit. You have to believe that there is a chance that this is going to help, and you have to WANT to be helped. No amount of therapy in the world is going to help someone who doesn’t want to be helped. Do you want to be helped? I’m sure you do. Right? Maybe a more accurate question is, are you ready to do the hard work? Are you ready to endure the unpleasant? Are you prepared to push yourself? There is no point trying something for a few visits, a few weeks, a few months if the therapist has told you it’s going to take 6-12 months, or 2-3 years to see progress. Quitting early and saying it didn’t help is just shooting yourself in the foot (and when you tell others that X treatment didn’t work for you, you’re decreasing the chances they will give it a go for themselves!!!). You have to learn to persevere. You have to trust in the process. Because the minute you decide this therapy isn’t working, you know what you’re going to do? Google, and find a new one. A new therapist, a new modality, a new pill, a new trial. Then you will start the cycle all over again. 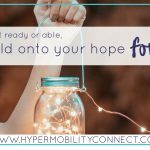 Until you can accept that this horrid hypermobility that plagues your body does not have a quick fix, you’re going to keep cutting therapy short, and searching for something else. If you’d persevered with therapy #3 from #15 I wonder where you’d be now? Acceptance is hard. It’s icky and messy and all kinds of unpleasant, but it’s a necessary part of the journey. I have concluded myself that acceptance is not a place or a destination, but an ongoing daily process. It is waking up each day and saying to myself “This might be hard, but I can do this” or “It is the way it is”, and ”there is nothing I can do to change what got me here, but I can change my future”. It’s accepting that the only thing in my power is what I chose to do about my condition today. Will I do my exercises as prescribed today? Will I eat what I should be eating today? Will I take those medications? There naturally comes a time in therapy where stopping IS the best thing. You may have reached your goals, you may have achieved all you can with that therapist, or that particular therapy is making you worse not better. There can be specific clinical reasons for stopping. But generally speaking, that’s not in the first few weeks or months. Until you’ve really tried something, you don’t know what you’re quitting, and you don’t know what you’re losing. I; we, have a choice. We can choose to accept that this is the way it is. We can choose to acknowledge and be OK with the fact that change, recovery, healing, is going to take time; it will not happen overnight. We can choose to trust in the process. We can choose to do the work. To show up in our lives, in the unpleasant, hard, messy stuff… and do what those we have hired as our guides, tell us to do. Or we can choose to start googling new names, new “solutions” and end up back where we started.